Organizes, plans, leads, and manages professional and technical county staff members in the engineering review, planning, financing, acquisition, planning, and design of County roads, drainage systems, stormwater systems, rights-of-way, and traffic control systems. 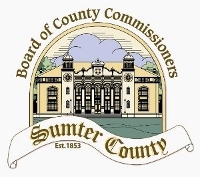 Provides technical input to the County and Municipal staff in the review of the traffic, commercial driveways, roadway, and stormwater impacts/mitigation of proposed development and projects on County and municipal projects. Provides detailed technical input on the review of development plans to assist the Development Services Director in the review of proposed development and projects. Provides guidance and support to the Road and Bridge staff. Provides direct supervision and support to staff involved with FDEP reports. Coordinates directly with permitting agencies and consultants to ensure all Federal, State and Local regulations are satisfied. Reviews existing work processes, work relationships, space utilization, equipment needs, computer operations, and workforce and equipment utilization; promotes effective operations through standardization, improvement, simplification, and installation of new operating systems. Develops and implements approved organizational and administrative changes. Manages the County's Design Services consultants. Prepares scope statements and cost estimates and negotiates final scope, price, and schedule for each task order. Works directly with outside contractors including, but not limited to: engineers, planners, and specialists. Reviews engineering plans and studies, checks preliminary and final designs. Acts as liaison between consultants, contractors, and the County. Manages the contract for traffic signal maintenance and timing. Assures the accurate review and interpretation by the staff of specifications, plans, service agreements, codes, regulations, permit conditions, standards, and laboratory analysis. Reviews Federal and State regulations, guidelines and publications for information related to the design and operations of road construction and maintenance activities. Provides updates to the Public Works Director regarding proposed Federal and state law revisions and analysis as to effects upon the county. Develops and manages the county's stormwater management program. Coordinates directly with SWFWMD, FDEP, and county municipalities to ensure effective stormwater, driveway permits, and traffic management within the county, and timely permitting as required. Coordinates with applicable regulatory and regional agencies related to roadway and water resource engineering projects. Assists in the budget preparation for the division. Prepares cost analysis and operational reports. Makes procedural and operational recommendations to the Public Works Director. May serve as Acting Public Works Director as designated. In case of emergency or crisis situation (hurricane, roadway collapse, flood, etc.) position is required to respond/perform emergency and recovery duties as assigned by the Public Works Director. Employees hired on or after February 1, 2016, must be a tobacco-free person, both on and off the job, for at least one (1) year immediately preceding application and maintain same tobacco-free status throughout the term of employment. •	Knowledge of principles, practices, and techniques of surveying, civil engineering, water resource construction, or engineering inspections. •	Knowledge of engineering standards, practices, and techniques for the design, construction, operation, and maintenance of water resource infrastructure. •	Knowledge of methods, material, and equipment common to public works/civil/environmental engineering projects. •	Knowledge of State of Florida Department of Transportation, Florida Department of Environmental Protection, Southwest Florida Water Management District standards and specifications for water resource construction, latest edition. •	Knowledge of MUTCD, NPDES, and TMDLs. •	Ability to resolve engineering problems relating to stormwater, drainage, roadway infrastructure, and traffic engineering. Ability to read and interpret complex engineering plans and specifications. •	Ability to make engineering computations quickly and accurately, use of engineering calculator. •	Ability to communicate clearly and concisely both verbally and in writing. •	Ability to understand and follow oral and written instructions. •	Ability to perform specific technical duties. •	Ability to access, input and retrieve information from a computer, to include the use of Microsoft Word, Excel, and PowerPoint. •	Ability to utilize and or review water resource software for calculations and roadway design standards to confirm design and to support Public Works operations. •	Ability to utilize Geographic Information Systems. •	Graduation from an accredited college or university with a Bachelor's Degree in Civil or Environmental Engineering or related field. •	Eight (8) years experience in civil engineering disciplines related to transportation and Stormwater. •	Five (5) years supervisory experience. •	Valid Florida Driver's License of the correct class for the vehicle driven, and a driving record acceptable to the insurance provider. •	State of Florida, Professional Engineer Registration required within one (1) year of employment. •	LAP Qualified with FDOT or capability to achieve LAP Qualifications within six (6) months after accepting the position. •	Acceptable vision (with or without correction). •	Acceptable hearing (with or without correction). •	Physical stamina to work outdoors, occasionally under adverse weather conditions. Salary Range	 Salary Range $32.28 to $46.12. Commensurate with experience and licenses. Benefits Package.